Lightweight responsiveness. 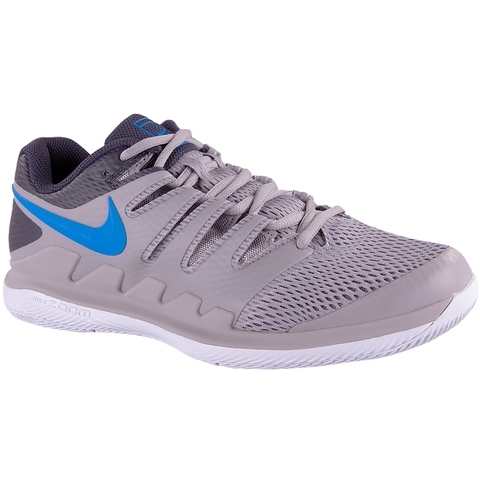 Men’s Nike Air Zoom Vapor X Tennis Shoe has an updated Dynamic Fit system with a full-length foot frame to provide your foot with ultimate control. 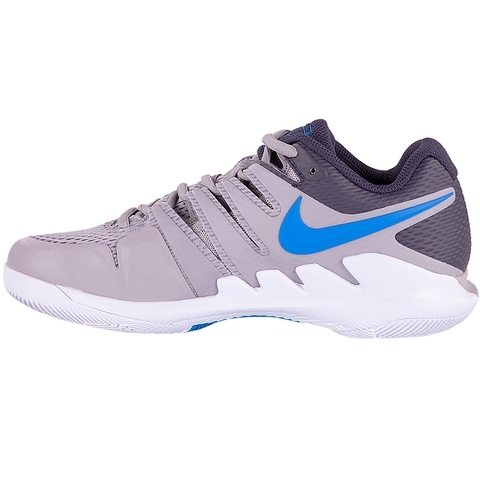 Its new generative outsole combined with a Zoom Air unit provides a lightweight, responsive feel on the court. Dynamic Fit system creates a glovelike fit. 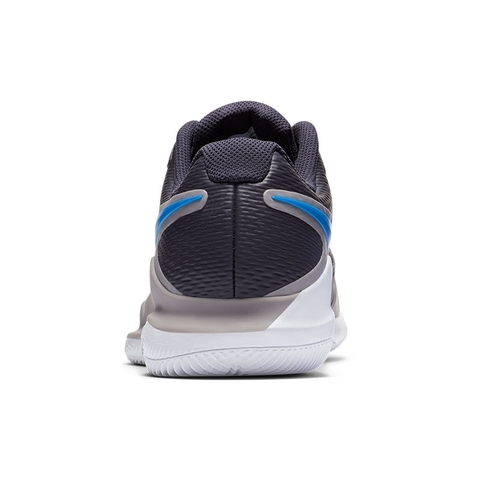 Zoom Air unit in the heel provides low-profile cushioning. 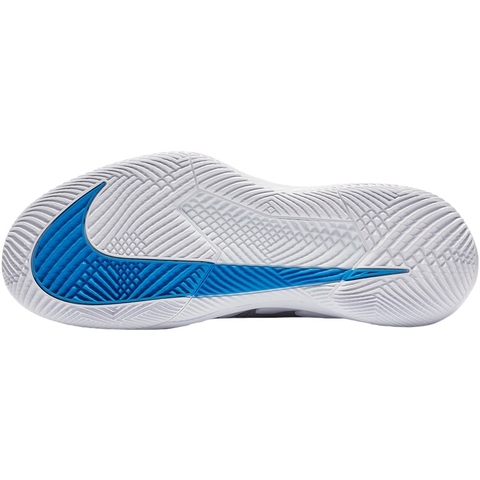 It has a midfoot shank for lateral support and stability. 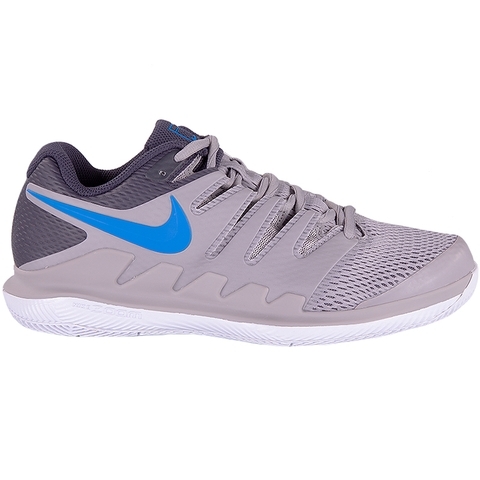 The phylon midsole provides lightweight, responsive cushioning. Padded collar provides added comfort. Generative design places added traction on the perimeter of the outsole to support explosive directional changes on the court. 7.5mm wear shelf is engineered with a thicker tread in high-wear zones for added durability. Rubber is removed in low-wear areas to keep weight at a minimum while delivering an outsole that wears evenly.